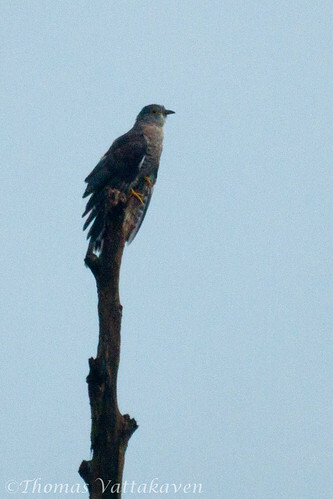 The Common Hawk-Cuckoo (Hierococcyx varius) is otherwise popularly known as the Brainfever bird. 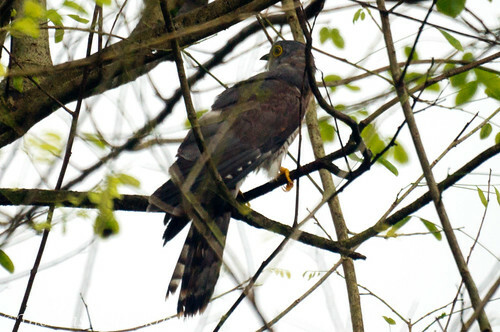 Its name evolves from the resemblance of both immature birds, as well as the adults to hawks such as the Shikra. It is ashy grey above; whitish below, cross-barred with brown. The tail is broadly barred. The sexes are alike. They have a very distinctive yellow iris and eye rim. The feet are also yellow and the bill is a greenish black. In the field it is easily distinguished by its remarkable call of “Brain fever, brain fever…”. If you havent hear this yet, this is one call I`d highly recommend that you listen too. “The brain-fever call is exceedingly loud and shrill and can be heard for a considerable distance, uttered as it is from the top of a tree, and as the bird repeats it at intervals for an hour or more at a stretch, either by day or night, it often becomes a very real nuisance”. 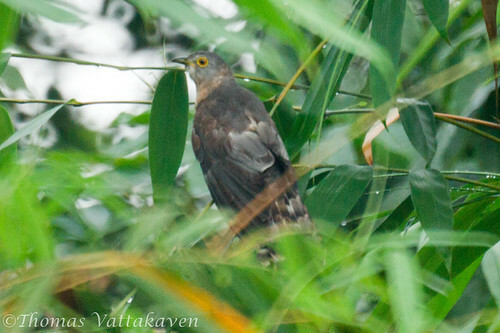 This species is confined to India and Sri Lanka. It is a bird of well-wooded country, and it is almost entirely arboreal. 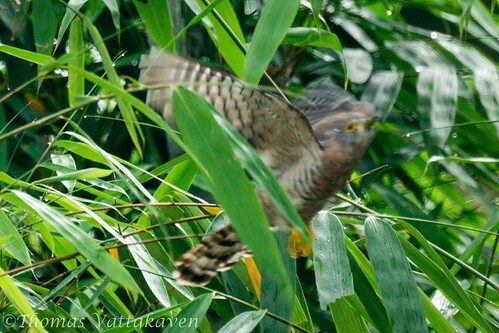 It feeds on berries, fruits and insects and will eat hairy caterpillars, which most other birds will not eat. The breeding season lasts from April – June. 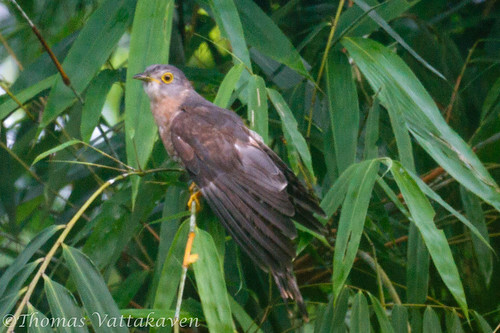 The birds are parasitic and lay their eggs in the nests of Babblers. 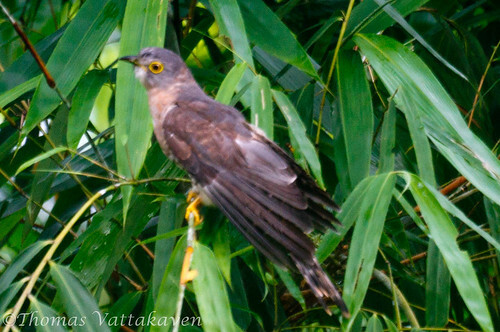 When it hatches the young cuckoo ejects the young babbler babies or eggs.